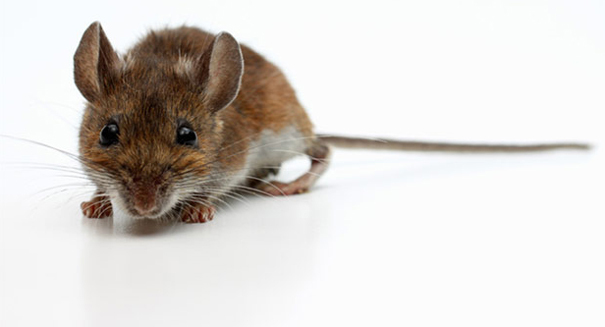 Scientists able to use laser to wire mice brains to make them become more aggressive hunters. Researchers have found a way to flip a switch in the brain of mice to turn them into a more aggressive killer, and in doing so, may have found a key to the way hunting behavior evolved millions of years ago. An article on npr.org says the mice were subjected to a laser light,which activated two sets of neurons in the amygdala in the mice, after which the mice began to pursue live crickets at a more aggressive pace. The mice even attacked other objects in their presence, including sticks, bottle caps and an insect-like toy, according to Ivan de Araujo, an associate professor of psychiatry at Yale University and an associate fellow at The John B. Pierce Laboratory in New Haven, Connecticut. But, amazingly, the aggressive behavior was reserved for the prey, and did not cause the mice to attack each other, even after both sets of neurons were activated. The research team used a technique called optogenetics to create the switches in separate neurons, one for involved emotion and motivation, and another which took over when biting and killing its prey. When the scientists flip the switches for both neurons, the mice “assume the body posture and actions usually associated with real hunting,” offered De Araujo. Previous research has found similar evidence of hunting circuits in rats and even humans, who once hunted and killed prey to survive. Findings from the study were published in the journal Cell. This is truly disgusting research, and the animal in charge of it should be in a jail cell not a laboratory. There is only one purpose for research like this, and in making it happen this disgusting creature is unlocking experimenting on humans for the sake of making them more harmful to each other. He should be removed from his position and prosecuted.